Fire Magic thinks of everything you could possibly need to make your outdoor kitchen as attractive and functional as possible. 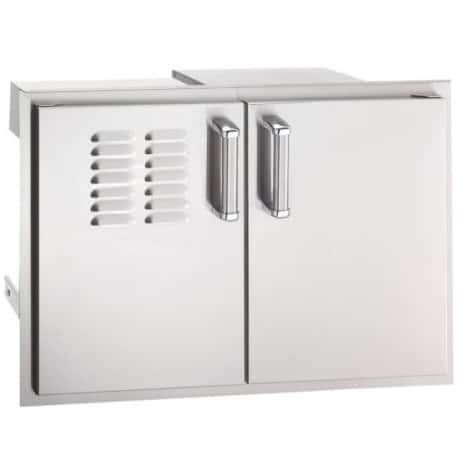 Take the Double Doors with Tank Tray, Louvers and Dual Drawers, for example. 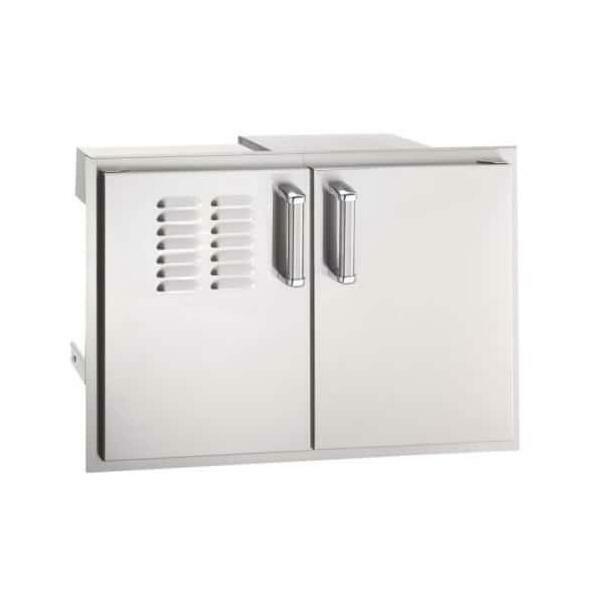 Expertly designed and constructed, this multi-purpose unit is commercial grade 304 stainless steel. The double doors open to reveal a pull out tray which will accommodate a propane tank or a trash container, as well as dual storage drawers. 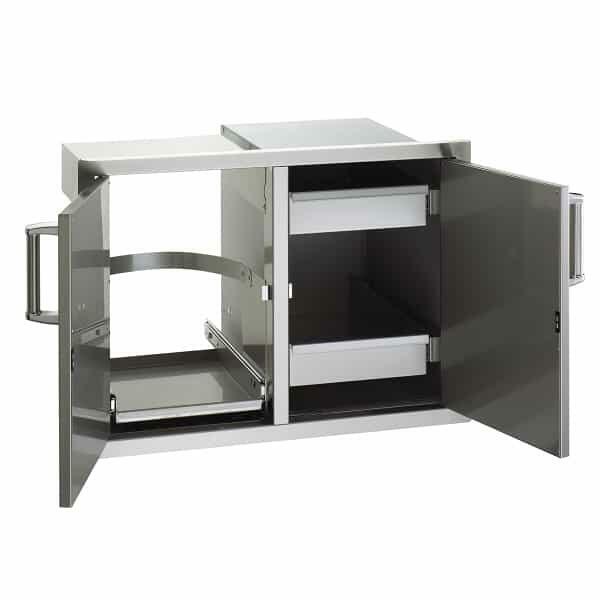 The unit has double wall construction, foam insulated and louvered doors, heavy-duty hinges, and a magnetic latch. Cutout 21"H x 30.5"W x 20.5"